Berserk isn’t the first Warriors-themed spinoff to be developed by the team at Omega Force. Other storied franchises such as Fist of the North Star and The Heroic Legend of Arslan have also been given the similar treatment. Fans familiar with these franchises should immediately recognize key story events as the Warriors adaptations tend not to stray too far from their source material. Berserk is no exception to this, as players will relive the lengthy Golden Age Arc and wrap up with the Falcon of the Millennium Empire Arc. The presentation to Berserk and the Band of the Hawk can wildly vary depending on how dramatic the story turns. Much of the dialogue between key characters is presented in-engine with the characters chattering back and forth in text boxes (with the native Japanese voice-overs, of course). For the more sensational moments, cutscenes are derived from the animated films, pulling animated scenes directly from the numerous Golden Age movies. With the Golden Age arc making up roughly half of Berserk Musou’s story mode, there are quite a large number of animated cutscenes to fill in the story(two hours worth, in fact). It isn’t until the later arcs with the Eclipse that Berserk’s unique story really picks up steam and turns into a bloody horror show. Guts is one of the archetypical heroes that I’ve long wanted to be featured in a Musou title. 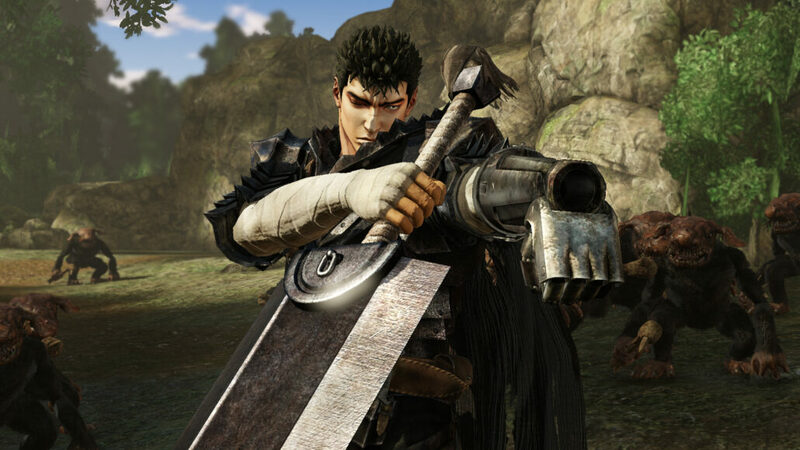 With a giant zweihander as the main weapon in his arsenal, the Berserk series has long centered around Guts’ ability to take down multiple foes in a single cleave. And true to his anime form, the main character of Berserk and the Band of the Hawk can do just that. Sure, there are a number of other characters that might dish out faster attacks, but the raw strength of Guts stands out as the most interesting character in the title. The sheer weight behind his attacks is finely tuned and just feels right as his attacks can be charged up to cover a bit more range before striking their intended target. Berserk and the Band of the Hawk plays much like your typical (Dynasty) Warriors hack-and-slash adventure. Two armies clash on the battlefield in grand combat, and while there are usually a number of AI teammates that can join you in grand combat, more often than not they’ll prove to be useless and in need of rescuing. This leaves the player in charge of capturing enemy bases or taking out strategic equipment such as catapults or commanders in charge of enemy reinforcements. Most battles can be refined down to a combination of taking these bases by defeating their commanders (or a specific number of troops first) or protecting a VIP that’s tasked with their own objective. It’s a formula that’s served the Warriors games well for many years and Berserk doesn’t strive to distance itself from the established conventions of such a series. Perhaps the most unique addition to Berserk and the Band of the Hawk is the inclusion of big hulking boss battles. These occur at a rare occurrence throughout Guts’ story, usually to mark the high points or ending of a particular arc. While the enemies faced might be unique, the tactics needed are not. One of Guts’ more famous fights in the Golden Age Arc is against Nosferatu Zodd, a hulking Apostle that nearly doubles Guts’ not-so-meager stature. Facing off enemies larger than humans is still something of a rarity for a Warriors title and the boss fights do a nice job of changing things up from the established formula. Sadly, these fights typically don’t feel too different from against any other enemy general aside from having a much higher pool of health and broader reaching attacks. Kentaro Miura’s Berserk series has a bit of a cult following given its raw depiction of blood and gore. Naturally, this has to be toned down to some extent when making the migration into a console series, but that doesn’t mean the copious amounts of blood have been taken out. Berserk Musou was able to barely edge out a CERO D rating in Japan by toning down some the series’ violent depictions, avoiding the Z rating that would’ve sealed its fate as an ‘Adults Only’ title. There is an option to toggle off the blood in Berserk, although leaving it on has the almost comical effect of having generic enemies fill the screen with spurts of strawberry jam as Guts cuts them down. For a Warriors game, having a diverse roster of characters can make fans of that series happy with their favorite character finally being playable. After all, Hyrule Warriors was able to slip in Tingle and the King of Red Lions as playable heroes which I’m sure was cause for celebration for some. Berserk’s roster doesn’t even reach a dirty dozen, although a number of the major characters have special transformation modes that offer varying move sets. Seeing the glaring omissions of Skull Knight and some of the other Band of the Hawk members missing from the roster leaves something to be desired. Berserk and the Band of the Hawk feels very much like a traditional Musou title, bearing the closest resemblance to Arslan from a few years prior. It doesn’t strive to expand upon Koei Tecmo’s signature style in any meaningful way, but for longtime fans of the genre, perhaps there isn’t much need to innovate. The biggest disservice a Berserk fan can do is to skip this bloody retelling of Guts’ greatest stories, although tourists of the genre might find themselves hungry for a little more substance. Reviewed on PlayStation 4. Code provided by the publisher. 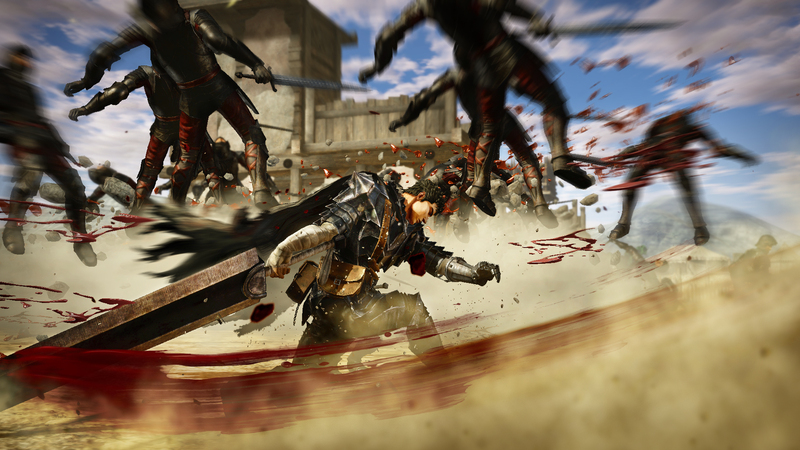 Berserk and the Band of the Hawk doesn’t strive to expand upon Koei Tecmo’s signature style in any meaningful way, but for longtime fans of the genre, perhaps there isn’t much need to innovate. Being able to relive Guts' early adventures during the Golden Age and beyond is sure to excite fans of Kentaro Miura's epic.